Allison has a Bachelor of Applied Science and a Masters in Nutrition and Dietetics. She is an Accredited Practicing Dietitian and has more than 25 years experience working in both the clinical setting and within project and management roles within the public health system. In the past 7 years Allison has had a change of focus and has been working as Clinical Trials Manager. 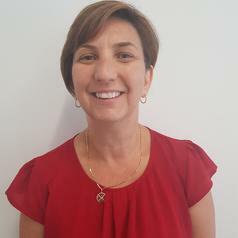 Allison has been a Clinical Trial Manager at Blacktown Hospital for a number of large multinational pharmaceutical cardiovascular outcome studies most notable, Liraglutide and Cardiovascular Outcomes in Type 2 Diabetes (LEADER) and Semaglutide and Cardiovascular Outcomes in Type 2 Diabetes (SUSTAIN) which have had extremely successful recruitment and retention of patients. She has a strong interest in the area of diabetes in particular gestational diabetes. As an Adjunct Fellow with Western Sydney University she is currently following a cohort of women in Western Sydney over 5 years who have had gestational diabetes.